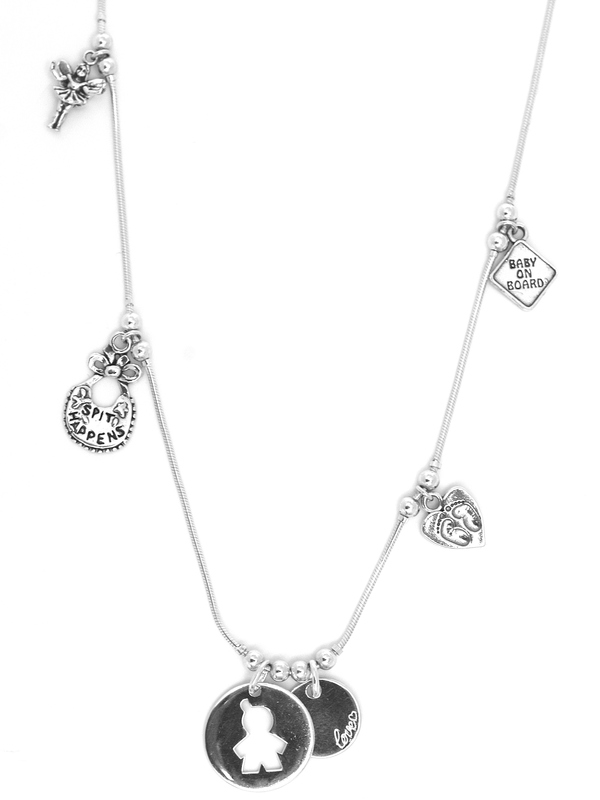 Beautiful Silver Sterling snake Chain with 12 Silver Sterling charms. Central medal with baby Boy engraved. 9mm Silver Sterling Clasp. Also exists for baby Girl.